Geometric, cool, colourful – with Holden, three time's the charm. 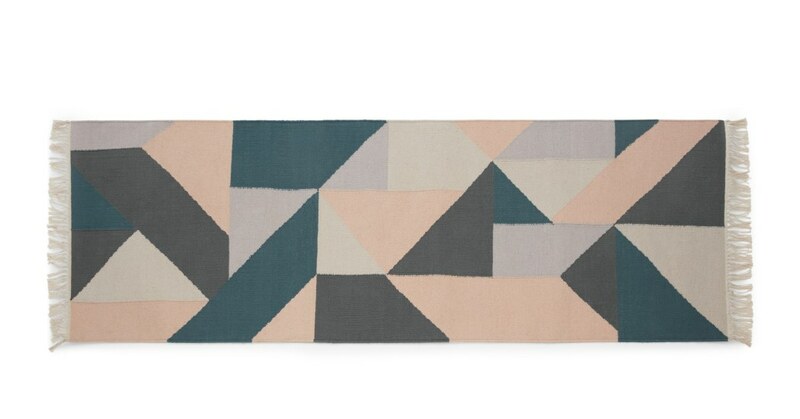 The tesselating pattern gives this cotton knit runner striking style. Holden has style in spades, but quality and comfort are important too. This flatweave runner's crafted from pure, yarn-dyed cotton for a soft-to-touch feel and rich depth of colour. How do you balance out a bold pattern? With delicate, versatile colours. Holden's design is well-considered, and worth your consideration.